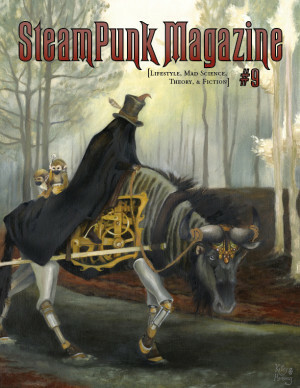 Sci-fi and fantasy blog Tor.com is taking another stab at Steampunk after their fantastic Steampunk Month series last year, which you might want to check out! There’s not much up yet, but the fabulous Ay-Leen the Peacemaker has a beautiful essay on the Ao Dai, which made my inner costume nerd giddy with joy, and there’s an interview with the author of the Steampunk Bible which talks about some of the issues we like here – race, class, sustainability, consumerism, and the like. They’re promising other exciting things like comics and giveaways to come, so keep an eye on it for the next couple of weeks!